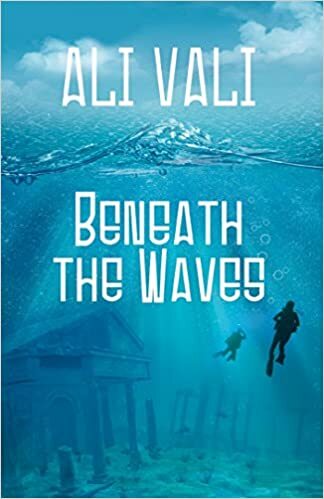 This is my second book by the author Ali Vali. The first, The Devil Inside, didn’t really do much for me, so I have overlooked most of this author’s work. The reason I picked this book is the cover. I thought it was absolutely stunning and I was intrigued. I though the book was going to be about diving, and well it does have that aspect. Never in my wildest dreams could I have imagined that the book would be about a kingdom of women running the lost city of Atlantis and their heir becoming involved in the Gulf Coast’s oil industry. Kai Merlin is the heir to Atlantis kingdom. This empire is 100% women who guide Earth’s population in unsuspecting ways. Kai after graduating from the Academy, Kai chooses her mission, accompanied by to mega great white sharks, to go to the Gulf Coast to work and guide offshore drilling to become conscientious of the environment. She must also right a wrong that she did while she was a young girl that forever changed the lives of two human children. Vivien Palmer is one of those children. When she was eight years old she witnessed a girl near her age emerge from the water, talk to her and her brother and then swim away right into a huge swarm of sharks. For years, Vivien has searched for clues as to who this girl could have been and if she survived the possible shark attack. Vivien is also the daughter to Palmer Oil, yup you guessed it, an offshore drilling company. I was confused for most of this book. I didn’t really understand what was going on at times especially if it involved the Atlantis portion of this book. Kai’s people, to me, ran together. There a mothers, grandmothers, an all-seeing lover, and countless other random characters making up Atlantis. They became jumbled in my brain and I felt completely disconnected. The information that I took from their scenes was minimal, jumbled and more puzzling than anything. There were times when I literally checked my Kindle to make sure it wasn’t skipping pages. Nope it was in working order. I give credit to Vali for creating a world so unlike any other. The premise was as great as the cover. It just didn’t translate well to me the reader.